PgConf US 2017 has now completed. We had a record number of attendees, a record number of sponsors and a record number of talks. The conference rocked. It was only made possible by a team of highly talented and dedicated volunteers. Thank you to those volunteers. We attribute our growth directly to our community. We believe that there is no better community than the PostgreSQL community. A welcoming, inclusive community that shares knowledge and a common goal: Make PostgreSQL the database you use. It is because of this common goal that not only does our conference succeed, but the majority of PostgreSQL events across the globe succeed as well. It is why over 60% of our attendees have been using PostgreSQL for less than 3 years. It is why sponsors such as Amazon Web Services, EnterpriseDB, OpenSCG, and 2ndQuadrant consistently support the conference. It is why a brand new community member flew last minute from Texas the night before the conference (more on this new community member later). It is why the South African community shows up, every year. 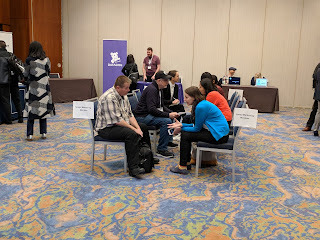 There are quite a few knobs that get turned to run a conference and although it is an amazing experience to be a part of, it takes an enormous amount of resources (financially and physically) to execute it in a manner that is beneficial to all parties. We think we did a pretty good job this year. This is not a pat on the back; we have more work to do. We want speakers to have everything they need including scheduled mentor times for first time speakers. We want speaking at PgConf US to be a pleasant, fun, and growth opportunity. We want sponsors to get better visibility. This was the first time at our current location and the layout wasn't perfect. We want to have "sponsor training." The PostgreSQL community is different than many, and sponsors (especially those that are relatively new to the community) should be able to leverage the expertise of the organizers to learn how best to work within the community. This would allow them to generate the business that makes it worth it for them to continue to sponsor. We want coffee in the morning. Yes, the Chairs felt that coffee in the morning wasn't a requirement. Yes, the Chairs failed in a glorious fashion. We listen, we learn. There will be coffee in the morning at the next PgConf National. There is more but that will wait for another day. tl;dr; It is with sincerest hearts that the Chairs, Organizers, and Volunteers thank the community for supporting our efforts to bring the best PostgreSQL Conference experience possible. 1. Greenplum has its own community; what do you hope to achieve by joining the Postgres community and PostgresConf? Both interest and adoption of Postgres have skyrocketed over the last two years, and we feel fortunate to be a part of the extended community. We have worked very hard to uplevel the base version of Postgres within Greenplum to more current levels and to be active in the Postgres community. We see Greenplum as a parallel (and analytic focused) implementation of Postgres, and we encourage the community to continue to embrace both the technology and the goal of the Greenplum project, which is Postgres at scale. 2. Are you planning to provide any new tech (PG features, etc.)? 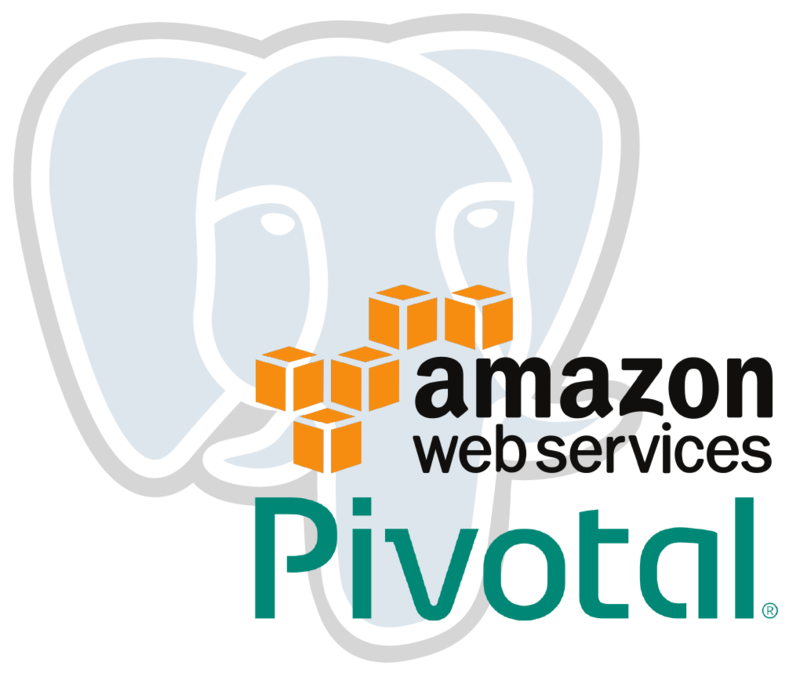 This year we plan to announce several new things for both Greenplum and Postgres. We’re introducing new innovations in our cloud offerings in the marketplaces of AWS, Azure, and GCP. We also have major news about both our natural language at-scale analytics solution based on Apache Solr, and our multi-purpose machine learning and graph analytics library Apache MADlib. The next major release of Greenplum is a major focus as well, differentiating Greenplum from each of its competitors and bringing us ever closer to the latest versions of Postgres. 3. Are there any rising stars in the community you’d like to give props to? 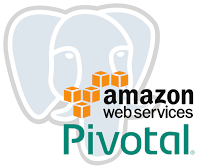 While it seems a little self-serving, I would like to take the opportunity to give props to the Pivotal Data Team. 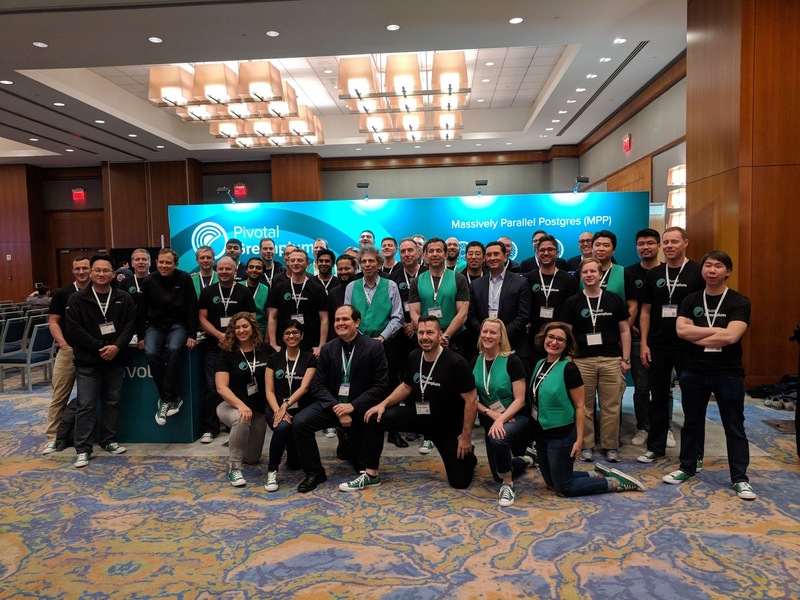 This team is a 300+ worldwide organization that helps our customers, our prospects, and the community to solve real world and really hard data problems—solved in part through Postgres technology. They all attack these use cases with passion and truly make a difference in the lives of the people that their solutions touch. I couldn’t wish to work with a finer group. 4. What is the number one benefit you see within Postgres that everyone should be aware of? The number one benefit of Postgres is really its flexibility. This database chameleon can be used for SQL, NoSQL, Big Data, Microservices, time series data, and much more. 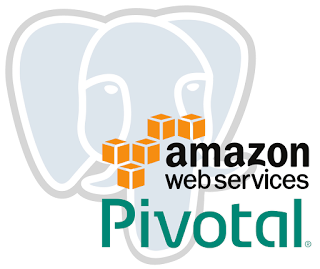 In fact, our latest analytic solution, MADLib Flow, leverages Postgres as an operational engine. For example, Machine Learning models created in Greenplum can be pushed into a restful API as part of an agile continuous integration/continuous delivery pipeline easily and efficiently—making Postgres the power behind what I still like to think of as #DataOps. 5. What is the best thing about working with the Postgres community? I deeply admire the passion and consistency of the community behind Postgres, constantly and incrementally improving this product over decades. And because Greenplum is based on Postgres, we get to interact with this vast community of talent. We are also able to more seamlessly interact with ecosystem products that already work with Postgres, making the adoption of Greenplum that much easier. 6. Tell us why you believe people should attend PostgresConf 2019 in March. 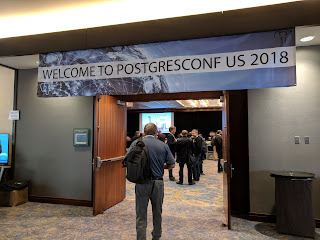 PostgresConf is going to be awesome, and I can’t wait for it to start! 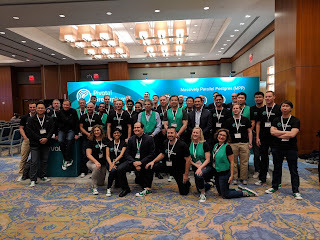 With Pivotal, Amazon, and EnterpriseDB headlining as Diamond sponsors, Greenplum Summit (along with multiple other summits), and high-quality speakers and content across the board, this year’s PostgresConf promises to be bigger and better than ever and surely won’t disappoint. We’re thrilled to be back to present the second annual Greenplum Summit on March 19th at PostgresConf. Our theme this year is “Scale Matters”, and what we’ve seen with our customers is that every year it matters more and more. Our users are part of organizations that are generating tons of data and their need to easily and quickly ingest and interrogate all of it is paramount. This is true even more now than ever before as the insights that can be found not only help differentiate them from their competitors, but are also used to build better products and increase customer loyalty. The day will be filled with real-world case studies from Greenplum users including Morgan Stanley, the European Space Astronomy Centre, Insurance Australia Group, Purdue University, Baker Hughes (a GE company), Conversant, and others, plus presentations and deep-dive tech sessions for novices and experts alike. PostgresConf Silicon Valley is being held October 15th-16th at the Hilton San Jose and the schedule is now available. The two day event received over 80 submissions! A lot of the usual and legendary speakers are present but we were pleasantly surprised to find that so many new (to the conference) speakers submitted. It shows that the mission of People, Postgres, Data is growing at an amplified rate. 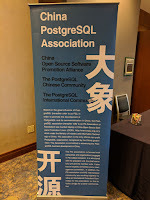 The presentations are all of the "best-in-class quality" our attendees have come to expect from PostgresConf events. 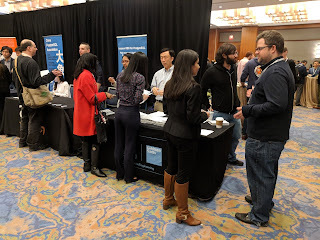 Whether your needs are Big Data, Google Cloud, AWS RDS, GPDR Compliance, or you just have a burning desire to learn more about Kubernetes, PostgresConf Silicon Valley has you covered! Join us on October 15th-16th and remember all roads lead to PostgresConf 2019 (more news on that soon)! People, Postgres, Data is not just an advocacy term. It is the mission of PostgresConf.Org. It is our rule of thumb, our mantra, and our purpose. When we determine which presentations to approve, which workshops to support, which individuals to receive scholarships, which events to organize, and any task big or small, it must follow: People, Postgres, Data. It is our belief that this mantra allows us to maintain our growth and continue to advocate for the Postgres community and ecosystem in a positive and productive way. When you attend PostgresConf the first thing you will notice is the diversity of the supported ecosystem; whether you want to discuss the finer points of contribution with the major PostgreSQL.Org sponsors such as 2ndQuadrant or EnterpriseDB, or you want to embrace the Postgres ecosystem with the Greenplum Summit or TimeScaleDB. We are a community driven and volunteer organized ecosystem conference. We want to help the community become stronger, increase education about Postgres, and offer career opportunities and knowledge about the entire ecosystem. Please join us in April!